Classic brick ranch with unbelievable space! Step into the lovely foyer and prepare to be impressed with the floor plan of this wonderful, timeless home. Lovely hardwoods, and sellers believe there are hardwoods under the foyer flooring, as well as the dining room/living room areas. Spacious L-shaped kitchen, plenty of room for breakfast area or dine in the formal dining room open to the huge living room with large windows overlooking the expansive back yard. Relax on the screened porch or enjoy coffee on the rocking chair front porch. Three bedrooms on the main level including private master. Terrace level is finished with family room with fireplace, lots of windows. Guests can enjoy a large private bedroom with lovely windows, full bath and den/rec room with bar. Unfinished storage is perfect for a workshop. 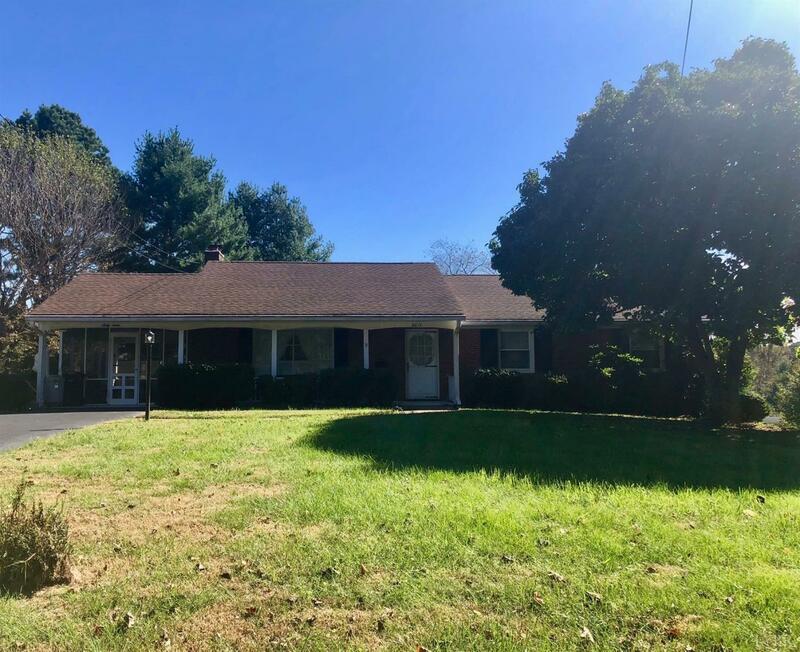 This home is so convenient, close to LU, RT.460 and RT.29. This home is solid, well-priced and well-maintained. Call for your showing appointment today. Don't miss this one!